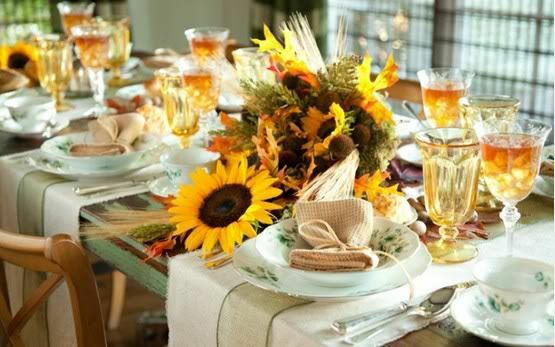 Whatever your style, there’s a Thanksgiving table setting that will fit in just right. From neutral to bold, and natural to modern, fall’s many colors, shapes, and textures bring so many decorating possibilities. 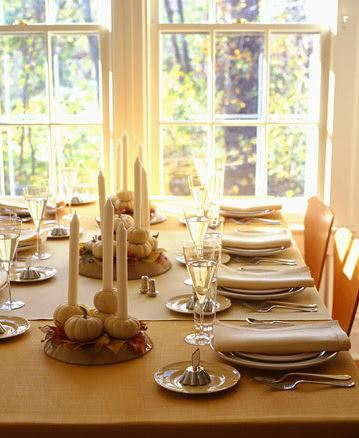 How should you style your dinner table this Thanksgiving? Click “Next” for a little decoration inspiration. The combination of wicker and burlap incorporate a little bit of texture into your Thanksgiving dinner table - and provide the perfect backdrop for that beautiful pop of orange! This table gets bonus points because it’s also outside! Who wouldn’t love a Thanksgiving picnic?! Clearly I live in the wrong climate. Fall flowers come in some stunning varieties that are wonderful additions to your garden - and your dining table. Use your favorite autumn blooms to create a bright, beautiful Thanksgiving centerpiece that’ shows off the best of the season. Don’t let pumpkins steal all of the glory this Thanksgiving. 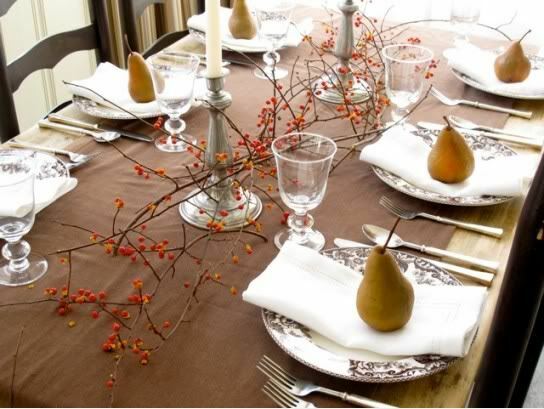 Rather than covering your table with the predictable seasonal decor, change it up with pears instead. Their beautiful greenish-gold coloring is an excellent compliment to the red-orange berries on the branches in the center of the table, creating a wonderful, understated Thanksgiving look. 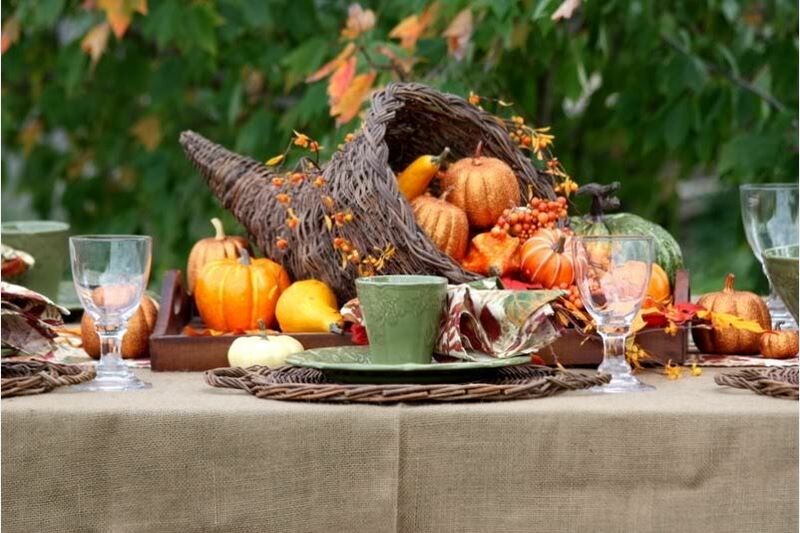 Fall’s natural beauty lends itself well to creating a nature-inspired Thanksgiving table. Freshly fallen colorful leaves finish off each place setting, while twigs, candles, and gourdes unite for a centerpiece that shows off almost all of the elements. 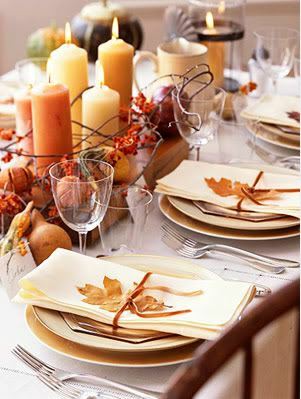 Simple and understated, this Thanksgiving table is festive, but definitely won’t outshine the meal. And after spending so much time in the kitchen, it’s really only fair that the feast take center stage! 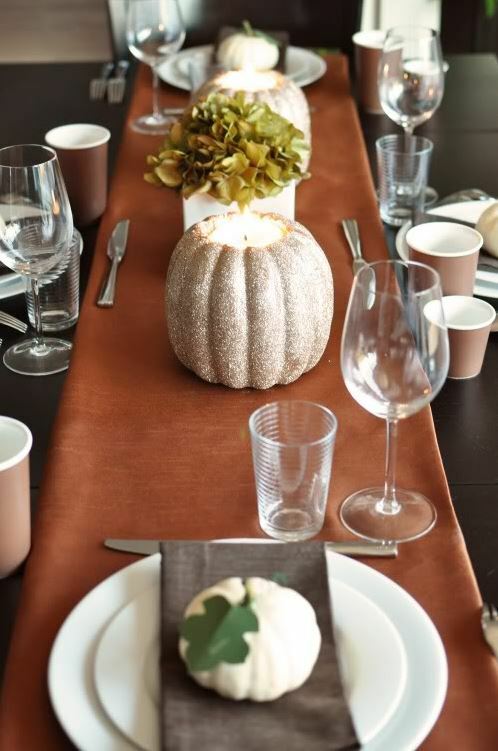 Collect some tall candles, carve out a few mini pumpkins as holders, and you’ve got a classic - and stylish - look for your Thanksgiving dinner. These little pumpkins are not only adorable, but they’re also a wonderful take-home gift for your guests! 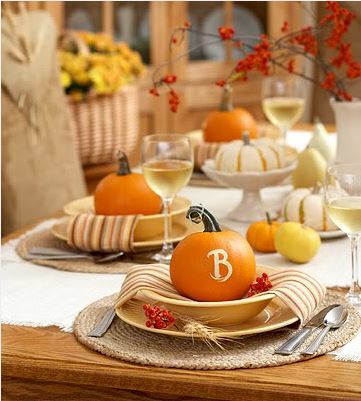 Simply grab a paintbrush and show off your penmanship, using pumpkins as place cards for your Thanksgiving table. 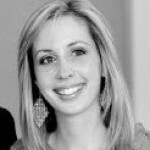 If your cursive is a little rusty, use the computer to print name tags that can be tied around the pumpkin’s stem instead of tackling the lettering yourself. This glittery pumpkin amps up Thanksgiving dinner’s glam factor! Carve out a pumpkin, creating a hole large enough at the top for a candle to fit inside. Remove all of the seeds from inside the pumpkin, and use a paintbrush to apply your glue. Then it’s time for the best part: GLITTER! Your local craft store should have lots of glitter varieties, so choose a color that will best match your tableware.